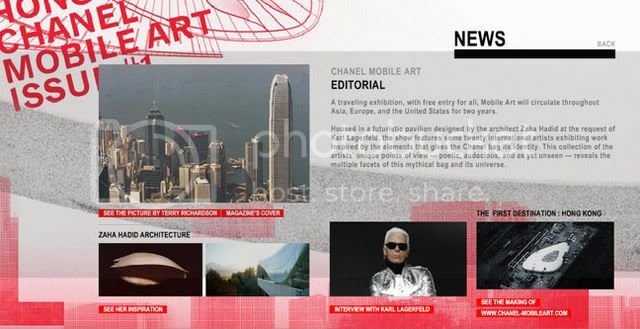 Last week we posted about the Chanel silent film teaser but we just saw the whole thing on the Chanel website. You can view the full film here. It’s really wonderful to see Chanel’s early life told in a media format that was popular at the time that the story is being told. Karl is a genius, whether it’s fashion design, photgraphy, dj’ing or now, directing film. Bravo!! 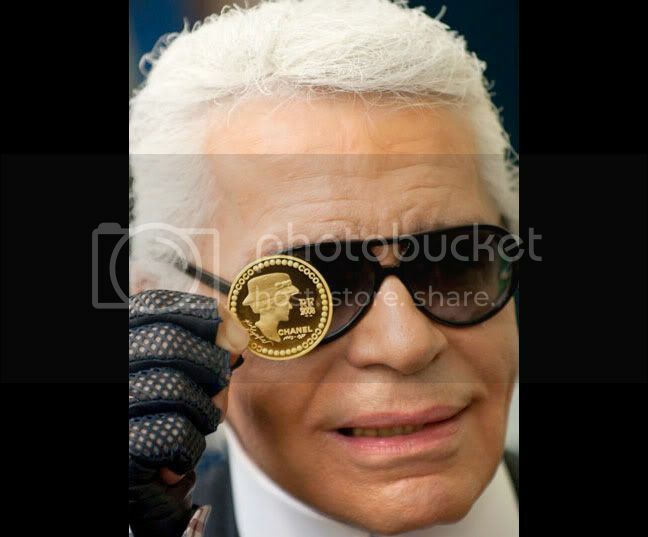 To celebrate the 125th anniversary of Gabrielle Chanel’s birth, Lagerfeld minted a coin of his design. “There might be less of it, but money can still be beautiful,” Karl Lagerfeld stated last week. 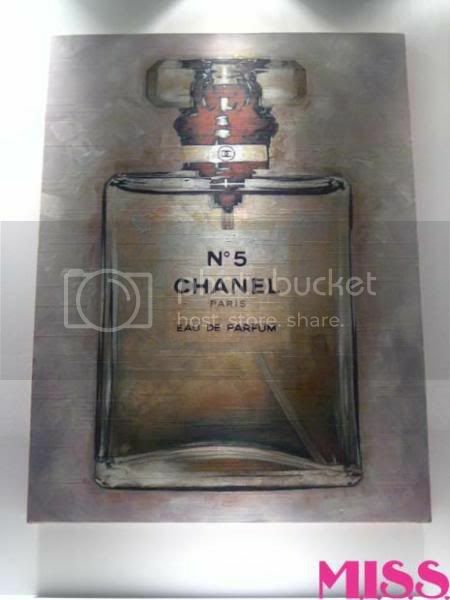 The collection includes two silver coins and two gold coins – all with a value of 5 euros – a nod to the iconic Chanel fragrance, Chanel No.5. The total collection will number 11,099 coins and goes on sale on Dec. 1. The most valuable of the coins, the gold one, is limited to an edition of 99 pieces and will sell for 5,900 euros, or $7,450. Now, that’s a mark-up! Ooooh, if only I could get my hands on this!! A while back we reviewed Lifetime’s Coco Chanel made-for-tv movie, and it was clear from our readers and from our search engine results, that the ladies love Olivier Sitruk, the French actor who played Coco Chanel‘s amour, Boy Capel. When we saw how much the ladies liked Mr. Sitruk, we did a small story on him. 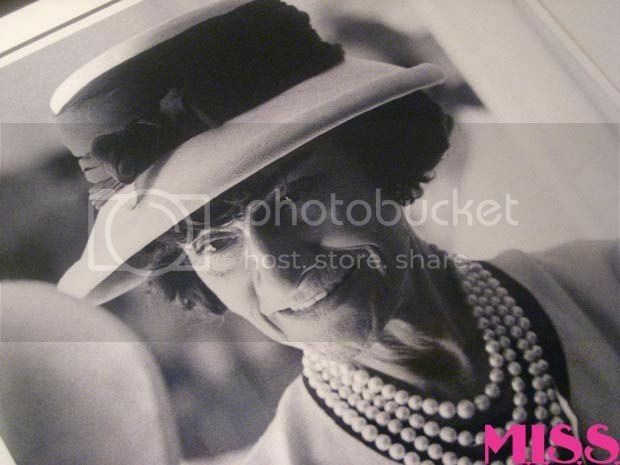 Little did we know that it would be our most popular story ever, with women from all over the country making M.I.S.S. the unofficial spot to get together and share their Olivier Sitruk discoveries. This got us thinking, why don’t we contact him and see if he’ll do an interview? To our surprise and delight, not only did Olivier get back to us, he gave us the honor of interviewing him. After several emails and weeks, we are happy and excited to present our interview with Olivier Sitruk. . .
How did you get your start in acting? I got my start in acting by studying! In NICE, the place where I was born, and after in PARIS. Of course I was not already paid for acting but my passion and destiny start at this time. I start on stage, I work in prison or with handicap people and make my first movie in 1992. In this movie, I was dying after 5 minutes, in the second one after 30 . . . now I die at the end! Did you know about the man ‘Boy Capel’ before you auditioned for his part? No, and not a lot about COCO CHANEL also, but there is so many book about her! Read the rest of the interview after the jump! Your English accent was very convincing! Was it difficult playing an English man? I’m sorry to say that my voice in English, it’s not mine, the character was English, and, I have a French accent when I speak . . . but we shoot the movie in English, even for the French TV. I had to dub it in French! Do you have any upcoming U.S. projects? If not, do you have any plans to do more work in the U.S.? For now, I have no project in US. But it will be a dream to come make my job in US. Like all my generation, I grow up with American movie, and a lot off my favorite directors are from America. Are there any actors, actresses or directors that you would like to work with? Kate WINSLET !!! In US ? So many! Paul Thomas ANDERSON, the COEN brothers, Sean PENN, of course SCORCESE but also Abel FERARA or AFANORVSKY, Chris NOLAN or Brian SINGER. In France, Jacques AUDIARD, BLIER or CORNEAU, and in the world, Emir KUSTURICA! If you weren’t an actor, what would you be doing? Ok, I have to ask because all of our readers are dying to know . . . Are you single? What qualities do you find attractive in women? I’m married since 5 years but we are together since 15 years. The qualities I find attractive in women, like in all the men, is the soul and humor . . . And look like KATE WINSLET . . . The ladies want to know where to keep up with your latest projects and work. Do you have a fan site? A Myspace page? I have one official site and they work on it to translate it in English. Every body was asking for Myspace, so I open one but it’s the beginning! Are the women in France as crazy for you as the women in the U.S.? Is it difficult to leave your house? Do I have to respond? I like to be discreet, I’m never in front or inside the people magazine, and I have a simple life with a lot of love and work. So no fan in front of my house! What is your idea of a romantic evening out? In Paris, walk on the street late in the night after a good restaurant and rebuilding the world. In dream, make a dinner on the moon! I was born the 25th December so I’m Capricorn. What do you like to do in your free time? What are your hobbies, interests? Work and dream! I like canvas painting, make racing Kart and play tennis with my son, watch movies and American series ( DR House, Damages, West Wing, or the Sopranos). What are you favorites? Favorite color, book, movie, food, travel destination? - Movies: I like all the movies of the director I talk at the top. -Food: About the food, I’m sorry to say that we are close to the perfection in France . . . but the Italian are closer . . . Many thanks to Olivier Sitruk and the wonderful team at Starface. We hope to see more of Olivier Sitruk’s work in the states! 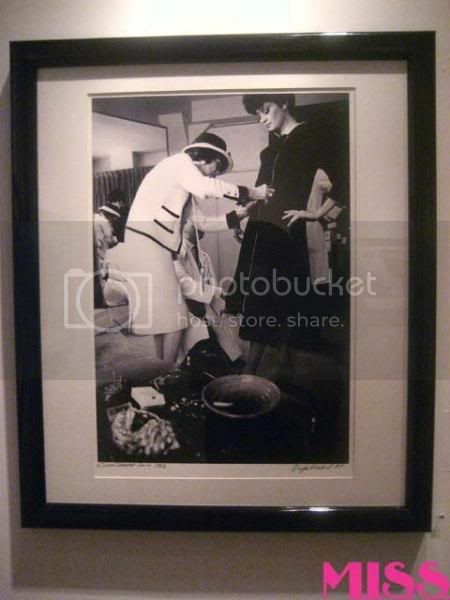 Last Friday, I attended the opening of Westwood Gallery’s exhibition of Douglas Kirkland’s intimate and never before seen photos of Coco Chanel at work taken over 3 weeks in 1962. 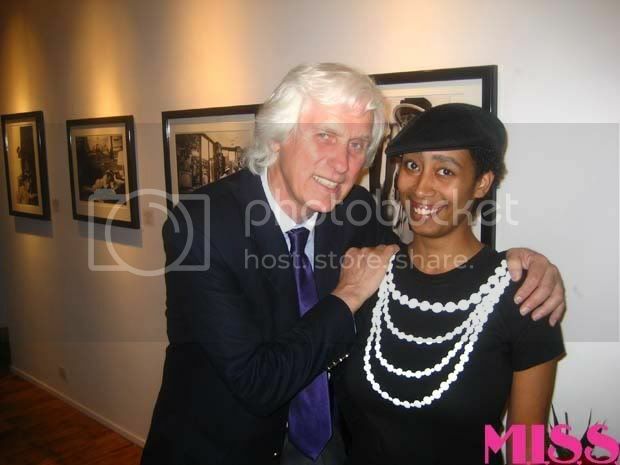 At the young age of 27, Douglas Kirkland, at the time a staff photographer for Look Magazine, and who is best known for his famous photographs of Marilyn Monroe, spent an unprecedented amount of time behind the scenes with Mademoiselle Chanel capturing her intense daily routine of designing, fitting models, seeing clients and meeting friends. 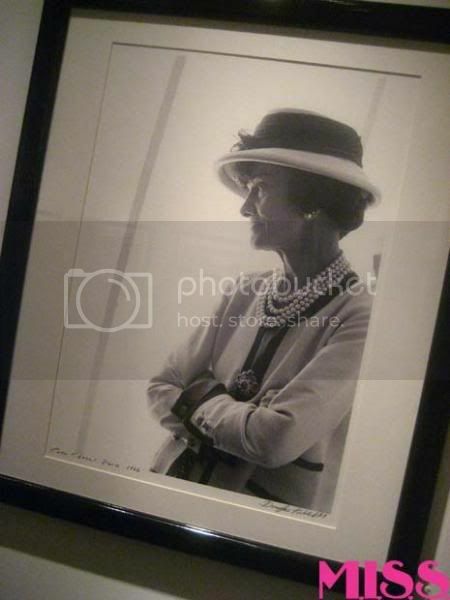 This exhibition will be open until November 29th, 2008, and I highly recommend seeing it in person if you would like to experience the passionate inner workings of the process of the one and only Coco Chanel. 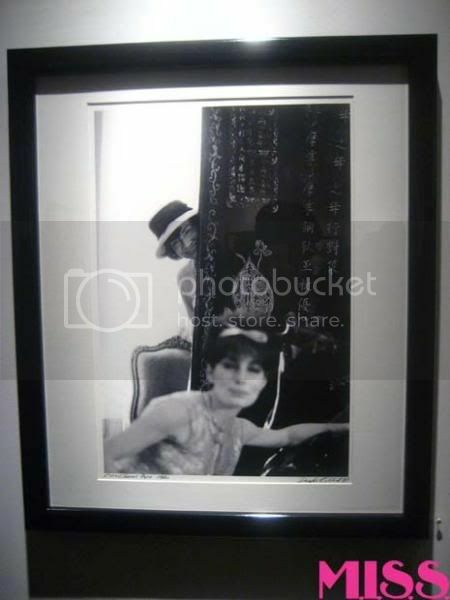 The photos are also available in this book by Douglas Kirkland, Coco Chanel: Three Weeks 1962. 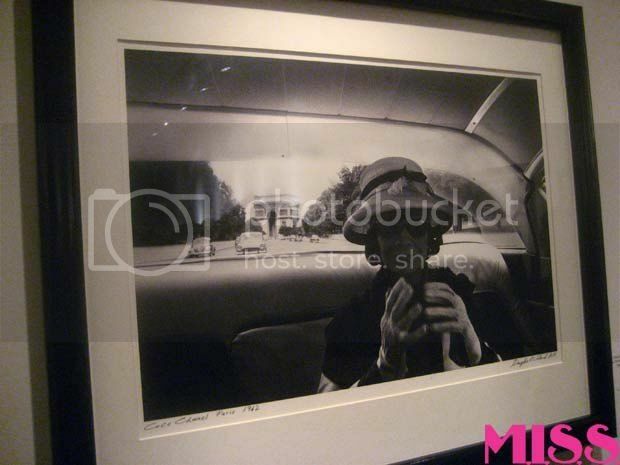 All photos are copywritten in 1962 by Douglas Kirkland, and printed in 2008. Most of the following photo descriptions came from the gallery, when I could capture them. Model Betty Catroux presenting a Chanel outfit, at the House of Chanel. Betty Catroux was the muse of Yves Saint Laurent. 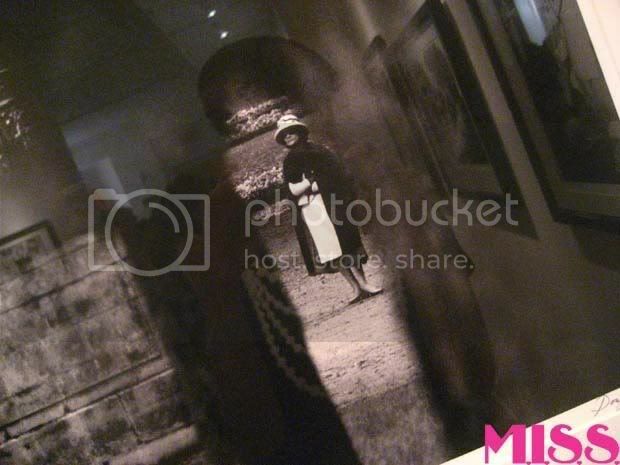 This is one of the photographs that Kirkland had to present to Chanel before she gave him permission and access to photograph her. Model presenting a Chanel outfit at the House of Chanel. 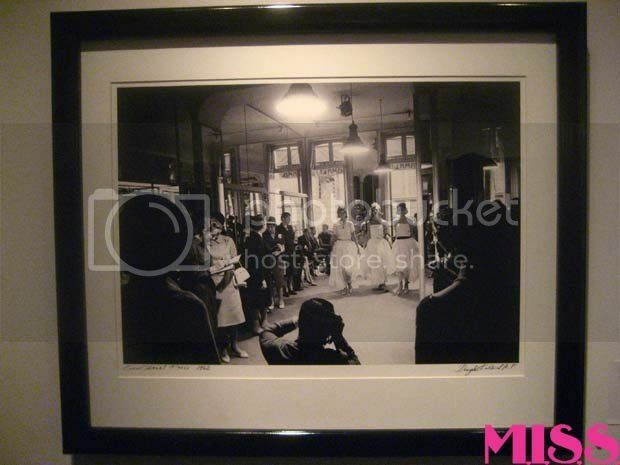 Coco Chanel, models and staff during a celebration after the show in the dressing rooms of the House of Chanel. Mademoiselle Chanel at work, creating designs for the upcoming August 1962 collections. 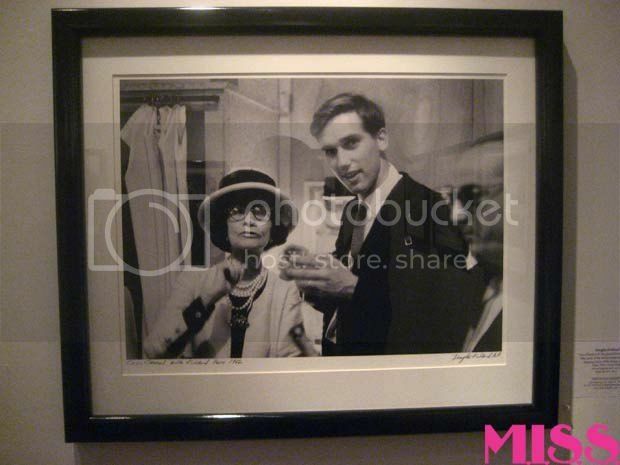 Coco Chanel with Douglas Kirkland, during the after party of the fashion presentation, in the dressing rooms of the House of Chanel. 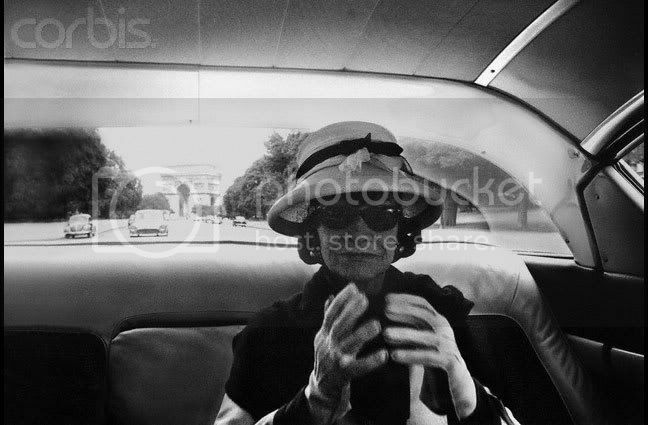 Coco Chanel wearing her most famous accessory, the Chanel sunglasses, on a trip to Versailles together with Douglas Kirkland. 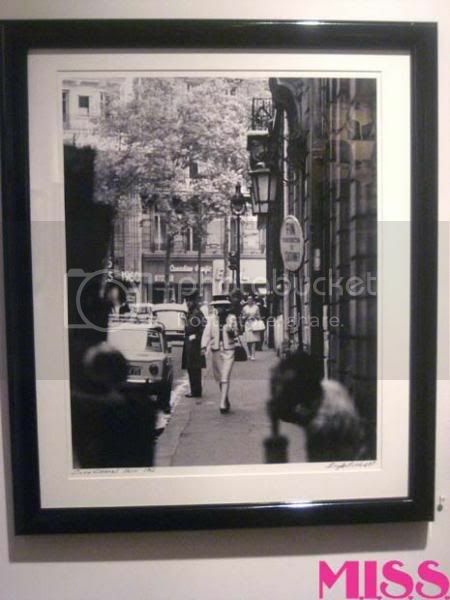 Coco Chanel in the street, walking from the Ritz to the House of Chanel, rue Cambon. 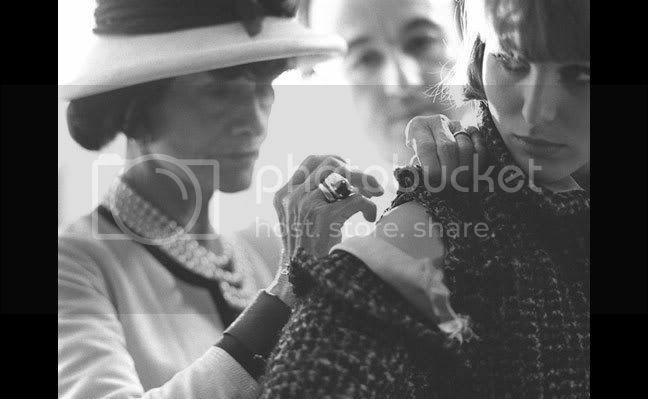 Coco Chanel making the final adjustments on a model before the show. During the fashion presentation, models show the latest creations of the House of Chanel. 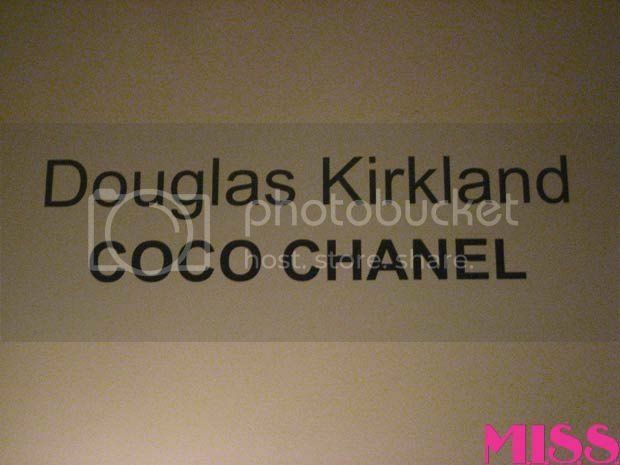 The first time Coco Chanel acknowleged Douglas Kirkland and allowed him to start photographing her in the Atelier and in her private quarters. 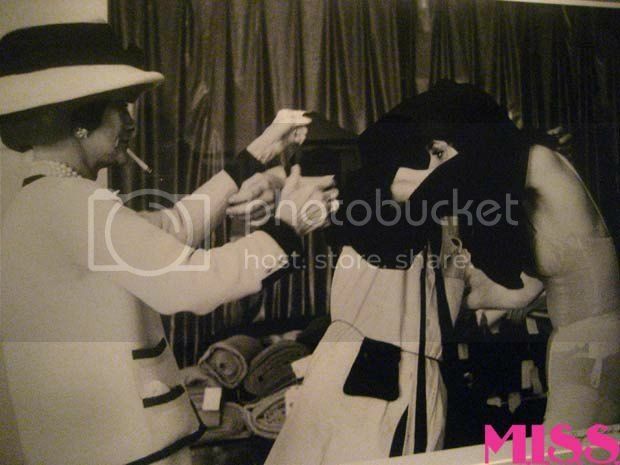 Mademoiselle Chanel at work in the Atelier, creating Haute Couture designs for the upcoming August collections. 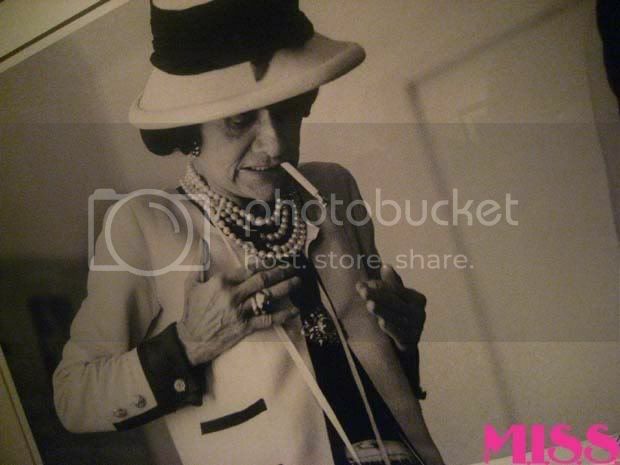 Coco Chanel on the telephone. 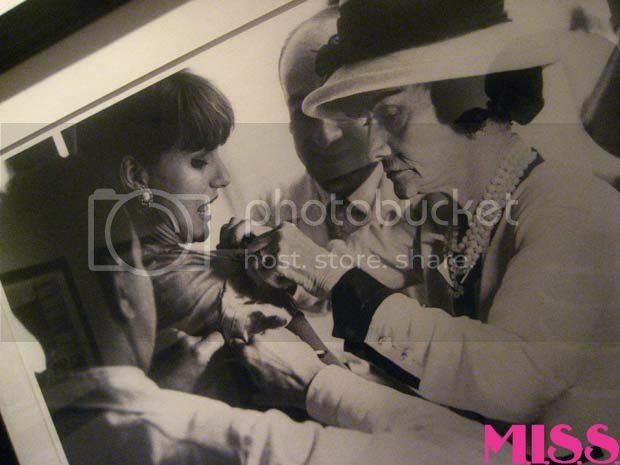 Mademoiselle Chanel at work creating designs for the upcoming August 1962 collections. 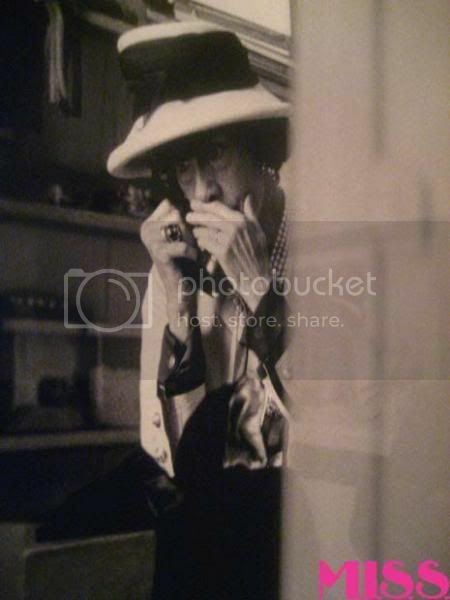 She is smoking a Gauloise, a lifelong habit. Coco Chanel in her private apartment, hiding behind a valuable Coromandel screen, adorned with Camellias, her favorite flower. In the foreground, Chanel model Jackie Rodgers. 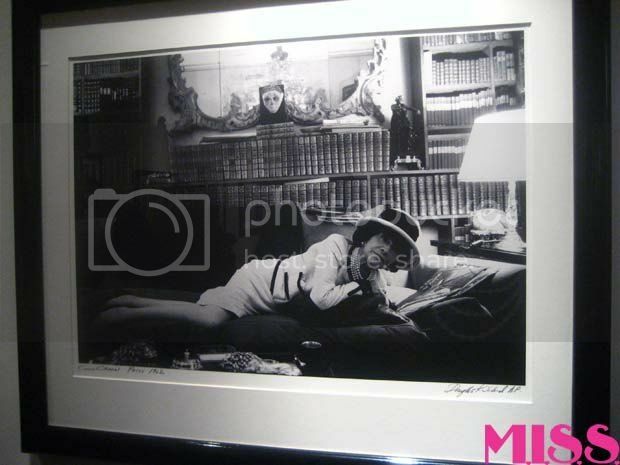 Mlle Chanel became so comfortable and enamored of the photographer she was playful and relaxed in many photographs. 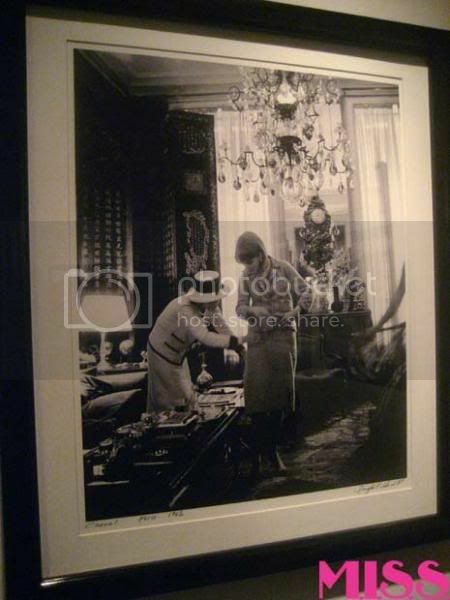 Coco Chanel in her private apartment at the House of Chanel. She demonstrates to the photographer her favorite restful position. 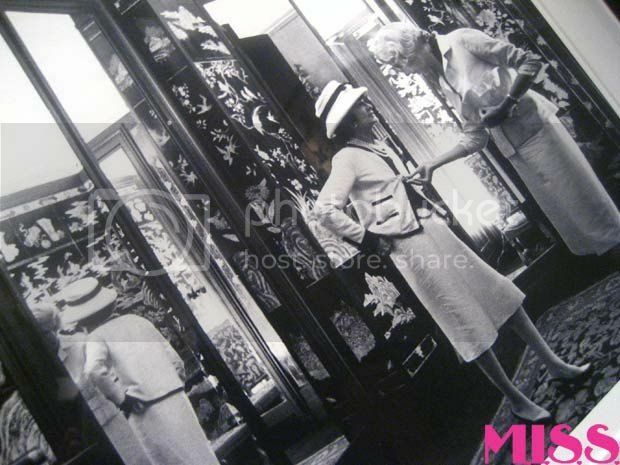 Coco Chanel with Mme Claude Pompidou, wife of Georges Pompidou, Prime Minister of France, and later President. 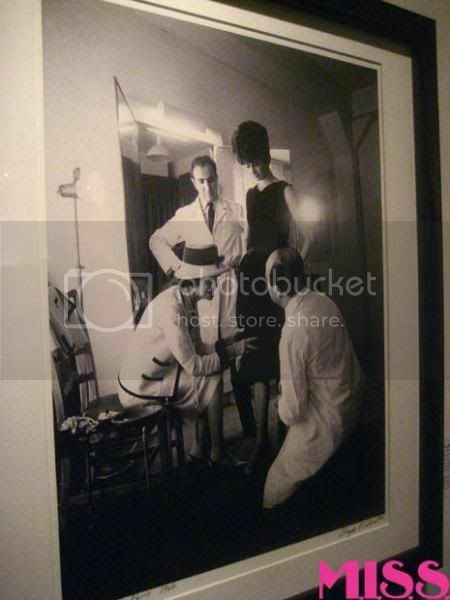 Coco Chanel preparing for the Defile (show) of the new collection in the dressing rooms of the House of Chanel, 2nd floor. 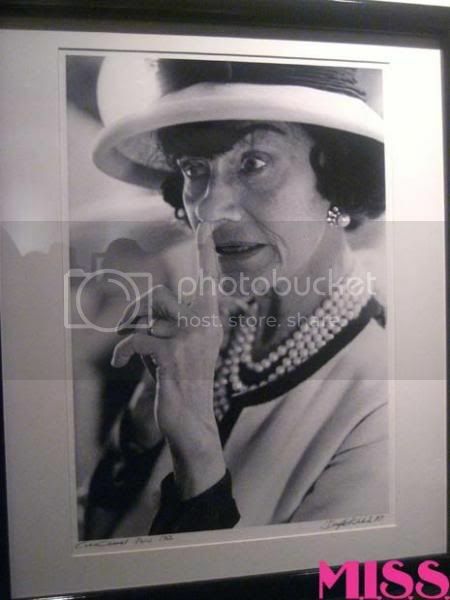 Coco Chanel in the Atelier, rue Cambon. 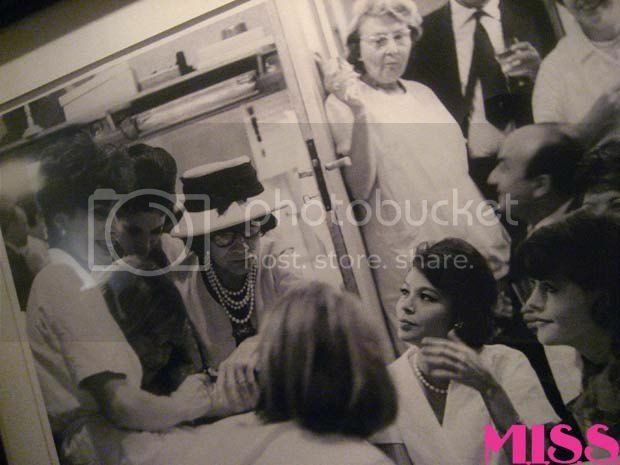 Coco Chanel surrounded by models and staff, during the celebration after the show, in the dressing room at the House of Chanel. 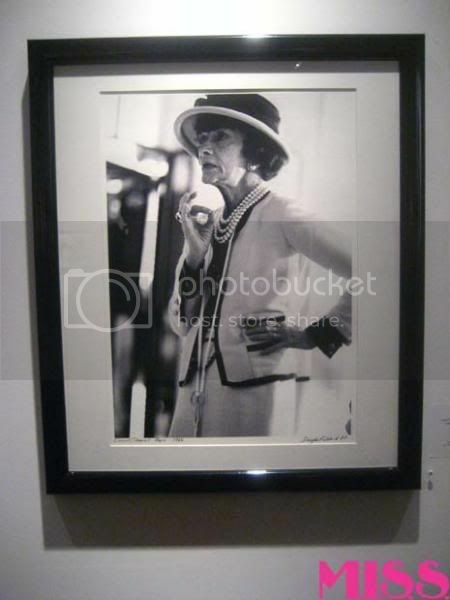 Mademoiselle Chanel was famous for watching the Defile sitting on the stairs and observing the crowd’s reaction through the kaleidoscopic mirrors. 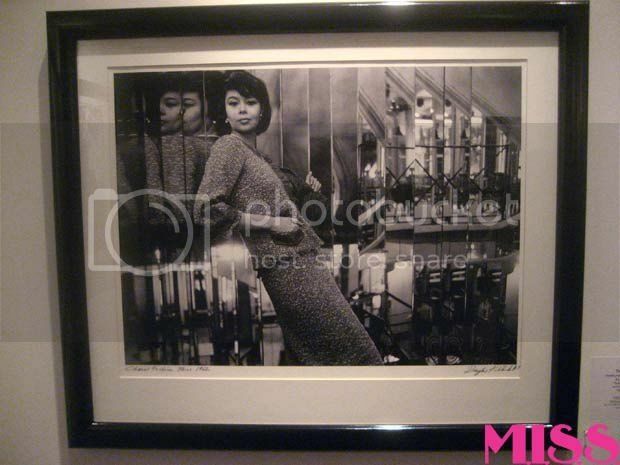 The photographer’s reflection can be seen in the mirror. Coco Chanel walking from the Ritz, her home for 20 years, to the House of Chanel. At first Kirkland decided not to get too close, and observe her from a distance. 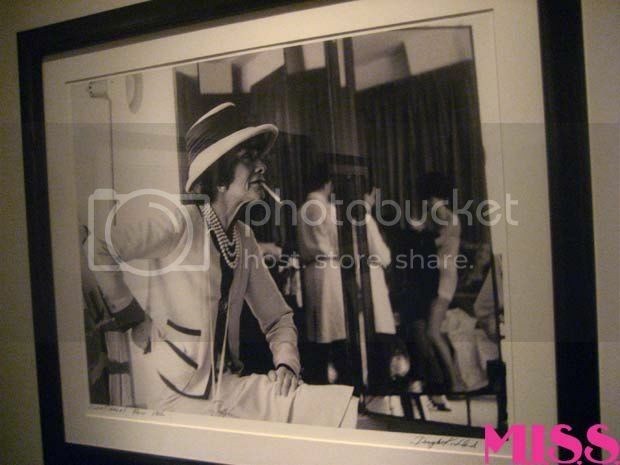 Coco Chanel at work, in the dressing rooms of the House of Chanel. Her unique sense of fashion led her to mix costume jewelry with gems and pearls. 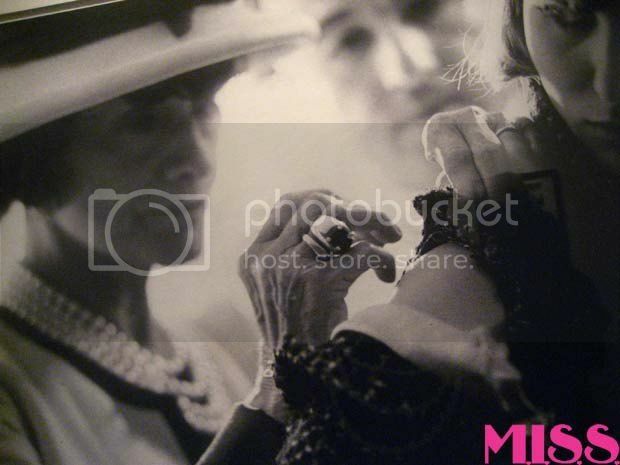 She designed her own line of costume jewelry inspired by the art deco movement in the 1930’s. Here, she is wearing $69,000 pearls. 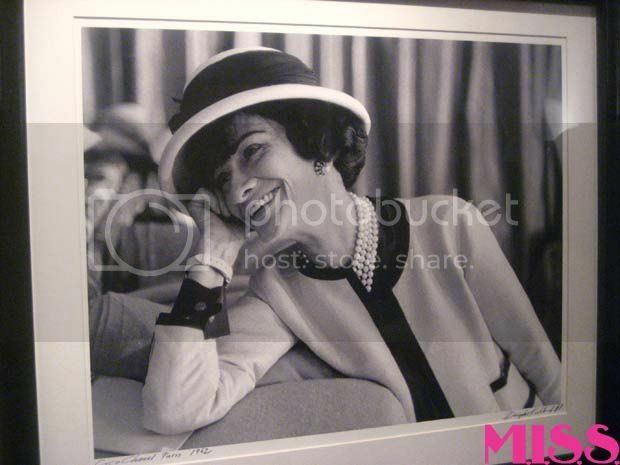 Coco Chanel in her private apartment at the House of Chanel, wearing her trademark suit and hat. 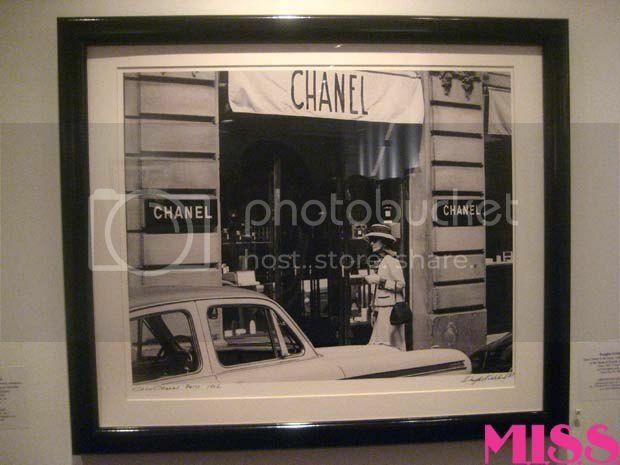 This is Kirkland’s last memory of Chanel, seeing her from a distance on the last day of his trip to Paris, while they were taking a walk in Versailles. 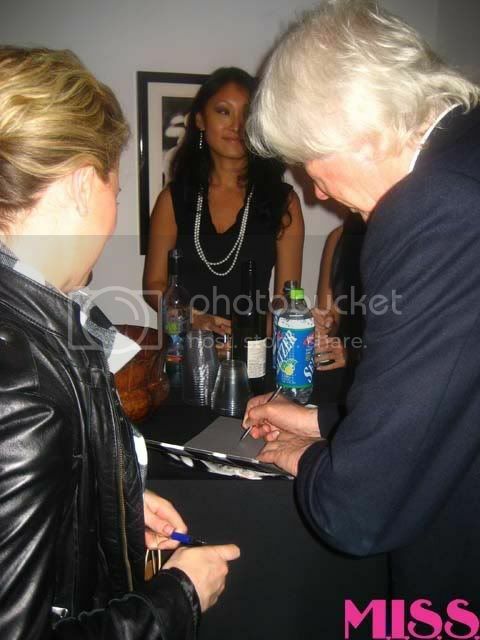 Douglas Kirkland signs a book for a fan. 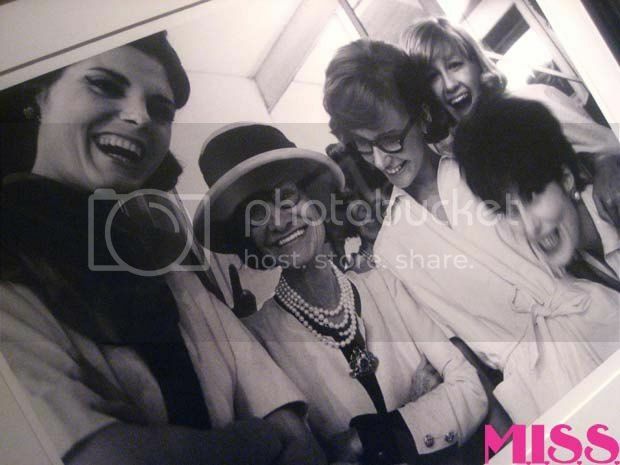 A little while back we told you about the release of photographer Douglas Kirkland’s book, Coco Chanel: Three Weeks/1962, that features never before seen photos of the fashion icon in some of her most intimate and public moments. 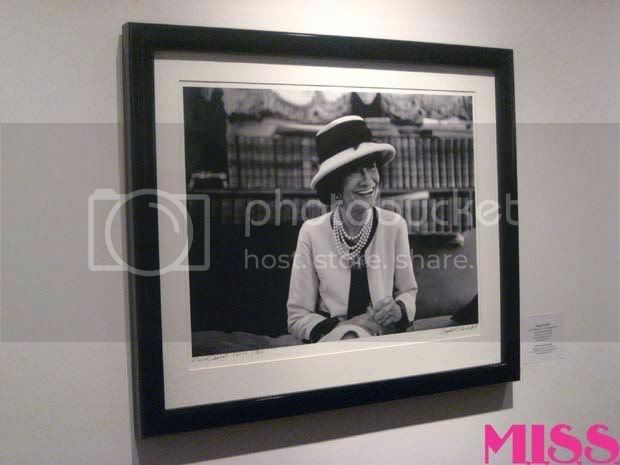 To commemorate the release of the book, the Westwood Gallery in NYC is showcasing 40 of Douglas Kirkland’s photos of Mademoiselle Chanel. 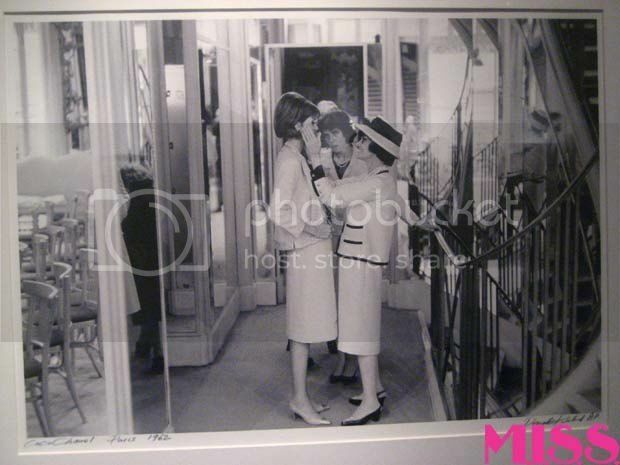 In 1962, Douglas Kirkland spent 3 weeks with Coco Chanel following her every move and documenting her routine and her work. When Kirkland approached her about the project, she was hesitant and asked that he submit photos of models wearing her collection so that she could get a sense of his work. 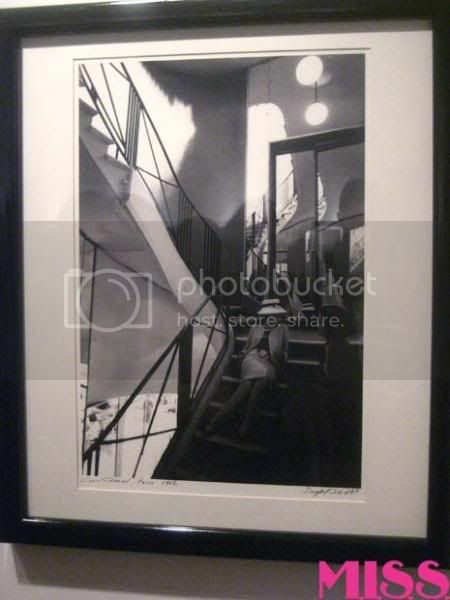 She was so taken with his photography skills that she allowed him full access to her and her private rooms. They even went to Versaille to photograph the Grand Dame there. These photos are definitely going to be something special because they will show Chanel in her most intimate moments as never seen before. And, to see them enlarged, all together in one room will surely be breathtaking. 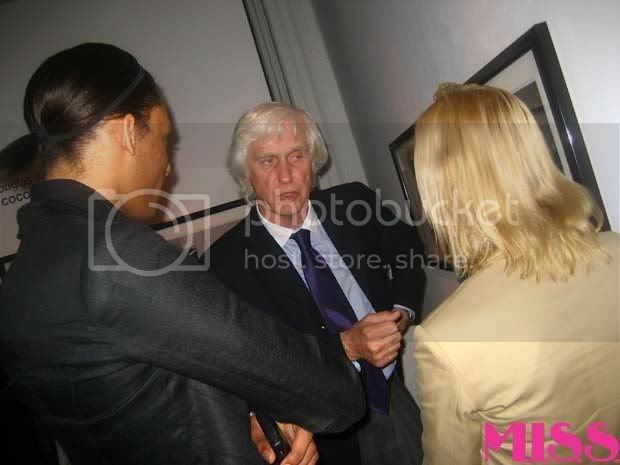 The exhibit runs from October 18 – November 29 at Westwood Gallery, 568 Broadway, NY, NY. OMG! 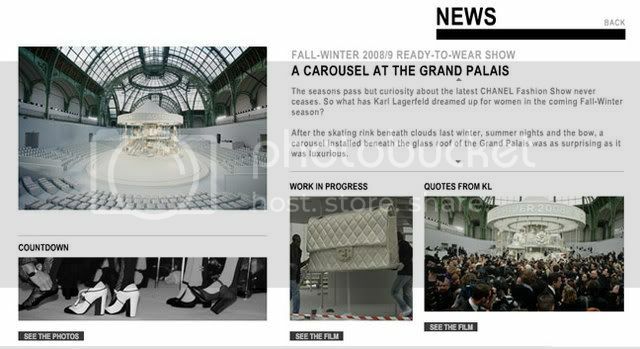 Chanel just updated their website with news, pictures, videos and footage about their Mobile Art traveling exhibition, their Custom Carousel and Chanel dresses in movies and at the Oscars. I could go on and on about how amazing it is but you really just need to see this for yourself! Read about it all here. More pics after the jump . . . 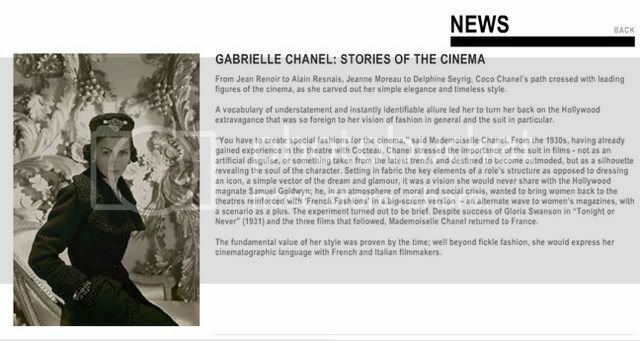 Finally, a film about the woman who revoluntionized the fashion industry and who’s elegance women all over the world attempt to emulate!